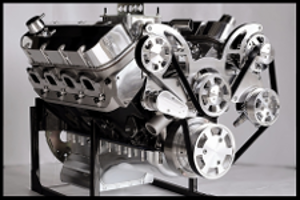 This service (preparing the BBC 632 short block) is an upgrade for those that have purchased a 632 SHORT BLOCK KIT from our other listings. Do not purchase this item unless you are buying a 632 SHORT BLOCK KIT in the same cart as this upgrade. To be perfectly clear, this ad is NOT for the stand-alone purchase of a 632 short block kit. 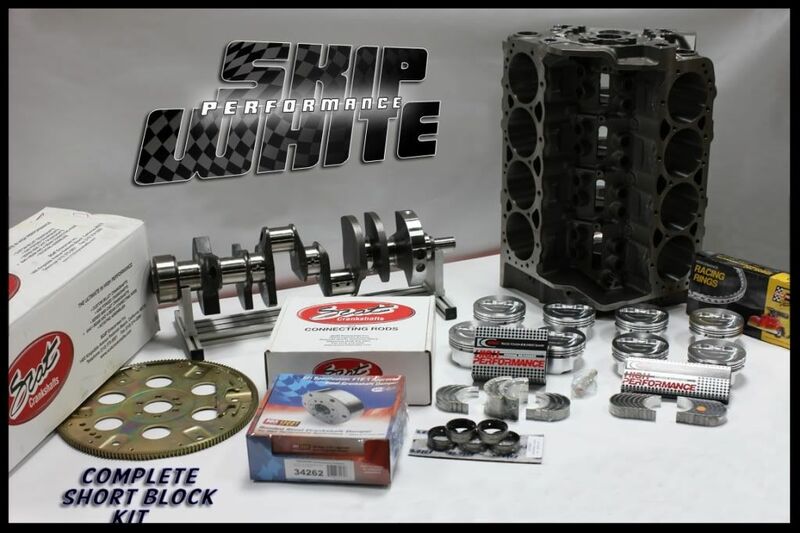 This is an upgrade only available to customers that are buying a 632 SHORT BLOCK KIT in the same cart as this upgrade. 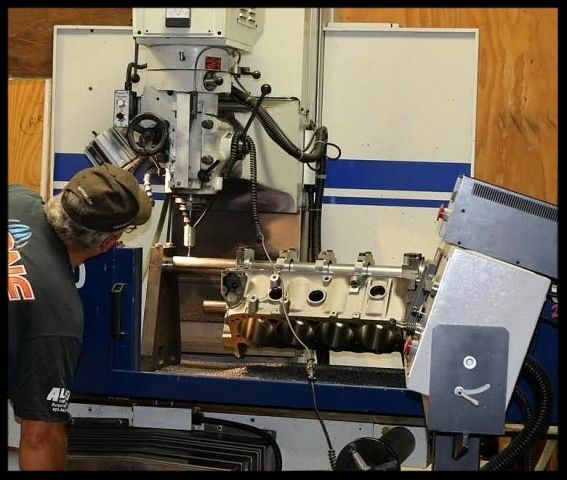 Block prep package: This upgrade includes notching the block on our Centroid cnc machine to allow additional clearance for the crank if necessary. 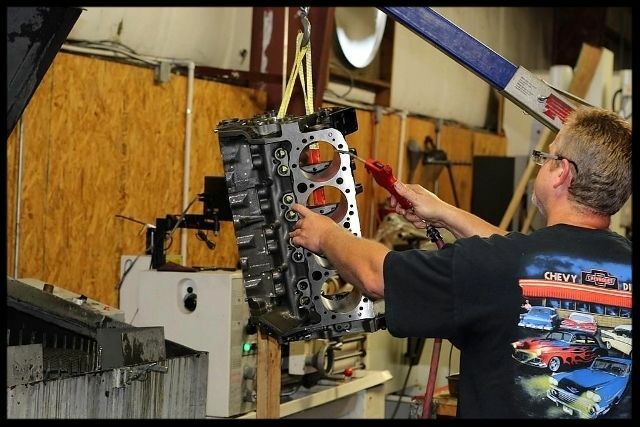 We also de-burr the block, hone the lifter bores to spec, chamfer the top of the cylinders, and lifter bores, and install the special Dart cam bearings and freeze plugs. The block is then thoroughly cleaned in our block washing machine. We find this upgrade essential for those lacking the proper equipment or knowledge to perform this correctly. Preparing the block in our Centroid cnc machine for precise notching, if necessary. The blocks are washed in a dedicated block cleaning machine. Pictured above is the final rinsing and drying to remove the cleaning solvents.